Recognition and Exploration of Structural Wedges—A Case Study in the Southern Margin of Junggar Basin, China. 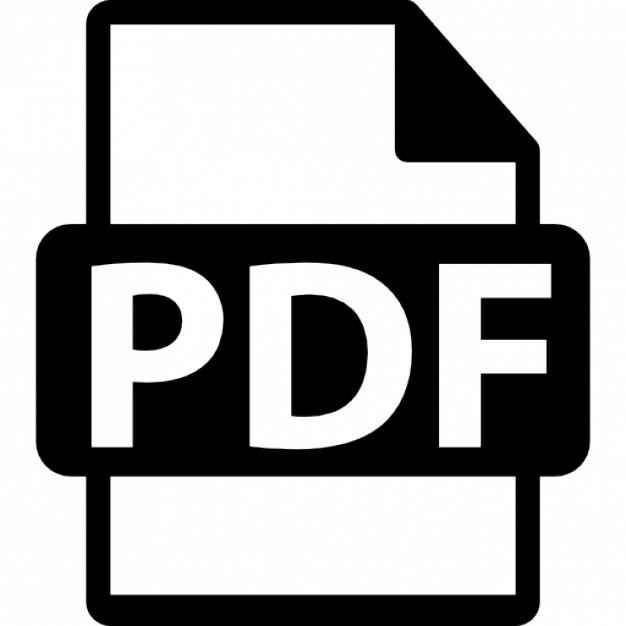 Please cite this article as: Dong, Y., Zhang, M., Zhu, X., Jiang, Q., Guo, L., Wei, M., Seismic geomorphology and depositional system of delta and terminal fan: A case study of the Neogene Shawan Formation in the Chepaizi Uplift, Junggar Basin, China, Marine and Petroleum Geology (2016), doi: 10.1016/j.marpetgeo.2016.10.006. This is a PDF file of an unedited manuscript that has been accepted for publication. As a service to our customers we are providing this early version of the manuscript. The manuscript will undergo copyediting, typesetting, and review of the resulting proof before it is published in its final form. Please note that during the production process errors may be discovered which could affect the content, and all legal disclaimers that apply to the journal pertain. Basin is a large-scale hydrocarbon-bearing basin characterized by complex -superimposed and formed in a compressional tectonic environment, and the central of the basin covered by the Desert (Fig. 1B). approaches the Zaire Mountain in the west and north, with the Sikeshu Sag as the southern boundary (Fig. 1B). The favorable exploration area is approximately 3000 km2 in the Chepaizi Uplift. ACCEPTED MANUSCRIPT achieved from Neogene strata in any of these wells, and questions related to the distribution of sand bodies must be made clear. A large number of studies have been conducted on the sequences and sedimentary facies types in the Chepaizi area of the Junggar Basin. Zhang et al. zones in the study area. fine sequence stratigraphic framework is established; secondly, the major depositional systems developed in the study area are analyzed according to lithology and well-logging data in combination with the depositional background of regional tectonics; thirdly, the boundary of sedimentary facies and the distribution characteristics of reservoir sand bodies are depicted using the strata slicing technique. Junggar Basin can be divided into three stages (He et al., 2008). and formed the Chepaizi Uplift. In addition, the Hongche Fault occurred at the front of the uplift, with eastward extrusion and thrusting. Because the Hongche Fault had high-angle and short nappe movement distance, the Chepaizi Uplift mainly underwent vertical uplift and erosion at the late stage. deposits. During the same period, the Hongche Fault continuously underwent intense activity. Because of the relatively low tectonic elevation, thin Permian, Triassic, and Jurassic strata were still deposited in parts of the Hongche fault belt. denuded and lacked Paleogene strata. The sedimentary evolution process of the Chepaizi area is summarized below. conglomerates strata were only remained in local valley areas. lakes were developed. (3) Depositional stage of Member three of the Shawan Formation: The water body became shallower, and shore-lake brown-mudstone deposits were primarily developed in an oxidizing environment (Fig. 4). mudstone of the Paleogene Anjihaihe Formation. There are favorable conditions of forming massive oil and gas fields because the area has the characteristics of multiple oil sources, multiple accumulation stages, multiple oil-bearing strata, multiple reservoir types and multiple oil products. stratigraphy framework for further detailed depositional research. et al., 2008; Zhao et al., 2010; Liu et al., 2010; Yang et al., 2011). This study comprehensively analyzes lithological, seismic and logging data in combination with the characteristics of tectonic evolution, sedimentary sequences and cyclical climate change. A new stratigraphic sub-division scheme is proposed. The Neogene Shawan Formation is divided into three fourth-order sequences (SQN1s1, SQN1s2 and SQN1s3). The sequence SQN1s1 is further divided into three fifth-order sequences (SQN1s11, SQN1s12 and SQN1s13) (Fig. 6). SB6 are onlap (red arrows in Fig. 7) and reflect the process of sediment area gradually enlarge from SQN1s11 to SQN1s3. Thses six strapraphic surfaces can be tracked in the entire survey. conglomerate, light-gray fine sandstone, and sand % is more than 85%. The well-log curve shows a block pattern (Fig. 6, Fig. 8A). account for more than 50% of the succesion. The well-log curve exhibits a block Fig. 8C). interbedded light-gray fine sandstone and silty mudstone-mudstone. Sandy sediments account for approximately 30% of the total thickness and constitute a vertical sedimentary sequence with more mud and less sand. The well-log curve shows smooth finger-like shape for sandstone and a flat or slightly serrate straight section for mudstone and silty mudstone (Fig. 6, Fig. 8D). with serrate linear log (Fig. 6, Fig. 8E). delta front is associated with slumps and turbidites in the prodelta environment or in the lake center (Smith, 1995; Feng et al., 2010). The inner front of the shallow braided-river delta is situated between average dry season and wet season water level, is dominated by river process. sedimentary facies of subaqueous distributary channels. grayish-green and gray mudstone with siltstone andfine sandstone (Fig. 9A). Sandy deposits mostly result from the subaqueous crevasse sub-deltas and deposition of the riverbed during the flood season, and the vertical sedimentary sequence is sand wrapped by mud. amplitude/moderate continuity/foreset seismic facies (Fig. 9B’). The subaqueous distributary channel deposit is the underwater extension of the distributary channels that form in the plain environment. 10–30% of the entire succession thickness. In the spontaneous potential curve, the beach mostly corresponds to a symmetric finger pattern (Fig. 9C). individual channel sandstone bodies will show a general decrease downstream (Friend, 1978). ACCEPTED MANUSCRIPT combination of the river channel sand body and sheetflood sand body, and it is less than 2 m thick and tens to hundreds of meters wide. elements, but the slices used in other methods tend to cross the reference time surface (Fig. 10). lithology and RMS amplitude (Fig. 12). sandstone interval (1630–1634 m) with daily 33 t oil production, correlate the bright yellow RMS amplitude in Fig. 14F. Green arrow points to the mudstone (1510–1540 m), correlate the blue RMS amplitude in Fig. 15F. amplitude too. But, the effect of fluid is much more weaker than the effect of lithology. Besides, although the impedance boundary is not distinct between sandstone and mudstone, most of the sandsone points’ impedence are low and RMS amplitude are high. If the sandstone which bearing the oil and gas will be the lower impedence and higher RMS amplitude. The fluid will not affect the interpretation of stratal slices. Stratal slices are interpreted according to depositional background and lithology-logging features. To analyze the sedimentary facies of the Shawan Formation, one representative stratal slice is selected from each of the following sequences: SQN1s11, SQN1s12, SQN1s13, SQN1s2, and SQN1s3, and they are slice 10, 12, 26, 38 and 88. The locations of the selected slices are shown in Fig. 13.
slice with interpretation and Fig.14C is sedimentary facies map of SQN1s11. The moderate- to high-RMS amplitude zone (>4000) is mainly distributed in the middle of the study area. that the primary source area is the southern region of the study area, which mainly developed shallow braided-river delta with progradation from southwest to northeast (a system spread over an area of ~280 Sq km ). There are three main river channels. range of approximately 12 km2. In the northern area, the beach extends in a banded pattern with a small range of approximately 4 km2 (Fig. 14F). Fig. 15A represent the stratal slice without interpretation, Fig. 15B is the stratal slice with interpretation and Fig.15C is sedimentary facies map of SQN1s13. The moderate- to high-RMS amplitude zone (>4000) is mainly distributed in the southwestern and eastern parts of the study area. slice with interpretation and Fig.16C is sedimentary facies map of SQN1s3. The moderate- to high- RMS amplitude zone (>4000) with a scaly distribution characteristics is mainly in the central west, whereas the zone with the streaky distribution characteristics is in the northeast. channels are generally 20 km long. In the eastern area, the density of braided rivers is relatively high, with 3–5 rivers of 10 km width. In the western area, the density of braided rivers is relatively small at only 1–2 rivers (Fig. 16C). features of a terminal fan (SQN1s3-slice88) (Fig. 18). sedimentary facies and distribution characteristics are depicted using the stratal slicing technique. exposure onto land, and development of briaded river and terminal fan. Dalman, R., Ranawijaya, D., Missiaen, T., Kroonenberg, S., and Storms, J.. The late-holocene progradation of the mahakam delta, indonesia - a case study of tidal, tropical deltas. ACCEPTED MANUSCRIPT Sedimentary Research, 2007, 77(5):433-446 He Dengfa, Chen Xinfa, Kuang Jun. Development and genetic mechanism of Chepaizi-Mosuowan uplift in Junggar Basin. Earth Science Frontiers , 2008 ,15(4):42-53 (in China) Kelly S B, Olsen H. Terminal fans—a review with reference to Devonian examples[J]. Smith, R. D. A., 1995. Reservoir architecture of syn-rift lacustrine turbidite systems, early Cretaceous, offshore South Gabon. In: Hydrocarbon habitat in rift basins (Ed. by J.J.
Uplift. (C) Well location of the Chepaizi uplift and the outline of 3-D seismic shown in figure 1D. (D) 3-D seismic survey (Block P10) and wells used in the study. depression. See Figure 1C for the location of the cross-section and wells. Su2, Chepaizi Uplift. See Figure 1D for the location of the seismic cross-section and well. truncation. See Figure 1D for location of seismic cross-section. Chepaizi Uplift. A. SQN1s11, B. SQN1s12, C. SQN1s13, D. SQN1s2, E. SQN1s3. Fig. 9 Lithological, electrical, and seismic reflection characteristics of the key sedimentary facies. See Figure 1D for the location of the seismic cross-section and wells. 1D for the location of the seismic cross-section and well. Fig. 13 Location of the representative Stratal slices from the Shanwa Formation in the 3D block west of P10, Junggar Basin. See Figure 1D for the location of the cross-section and wells. Fig. 14 Representative Stratal slices and depositonal system maps of sequences SQN1s11 to SQN1s12 in Block P10, Junggar Basin. Fig. 18 Stratal slice and sedimentary interpretation of terminal fans in the meandering river facies (SQs3-Slice88). Fine sequence framework is the foundation of sedimentary facies analysis. Seismic geomorphology study predition thin reservoirs successfully. Report "Seismic geomorphology and depositional system of delta and terminal fan: A case study of the Neogene Shawan Formation in the Chepaizi Uplift, Junggar Basin, China"